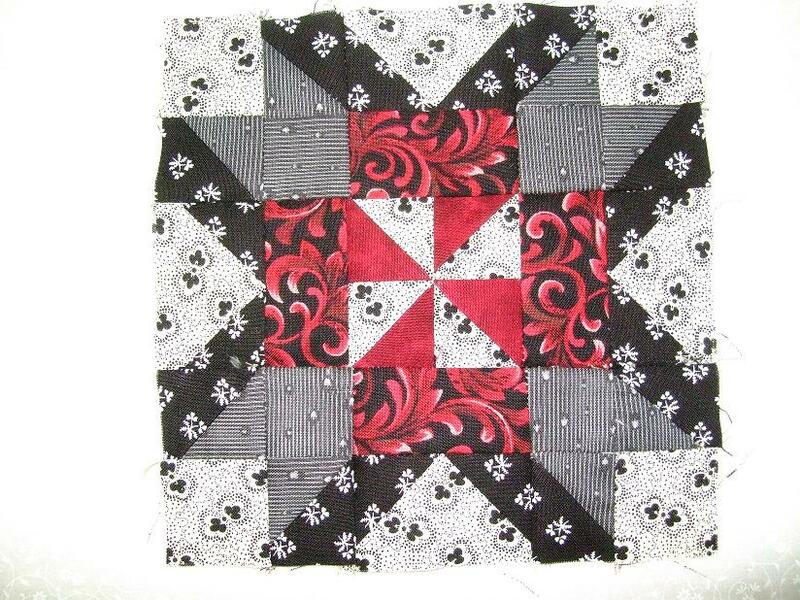 Since I don’t get a chance to quilt much, I do like to read quilt blogs while I nurse the baby. I have found several that are having give-aways on their blogs and I want to link them here. 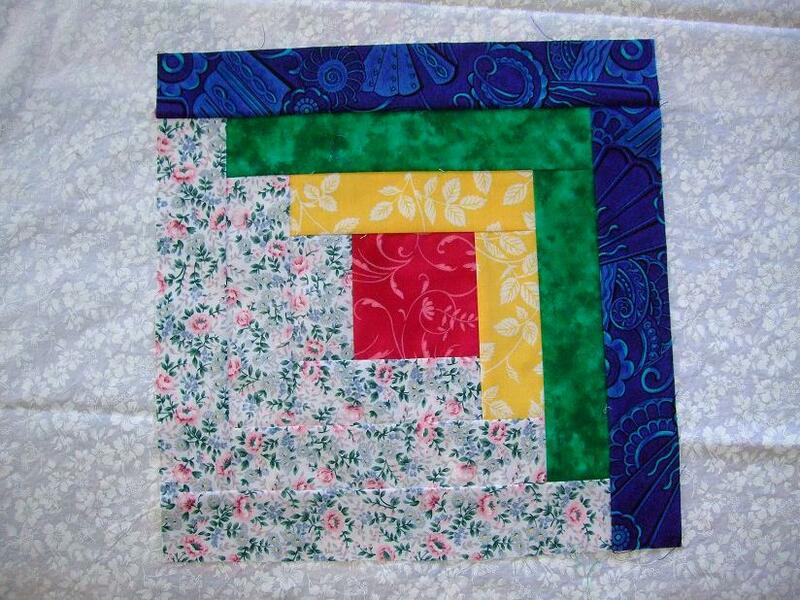 First of all, One More Quilt is celebrating one year of blogging. When I go to her blog and see the great picture at the top, it always makes me smile. 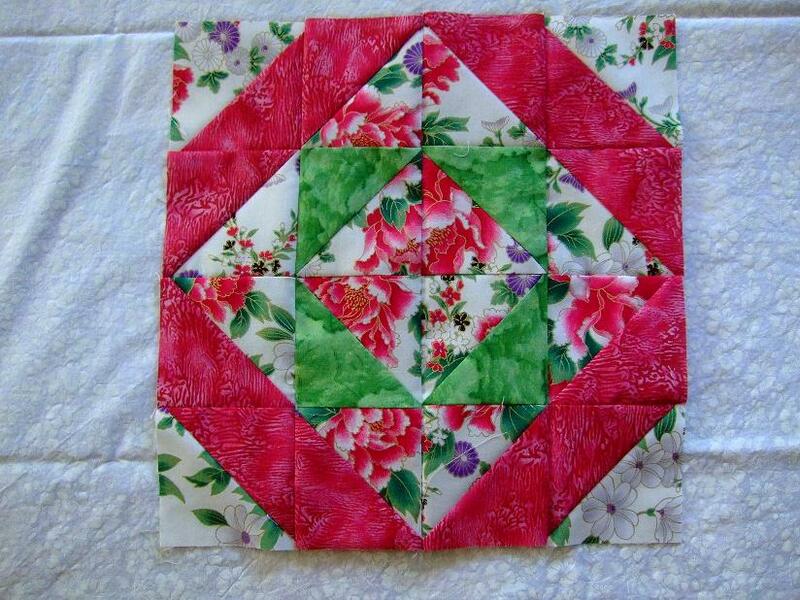 Jonquils & Ladybugs is celebrating 200 Etsy sales by giving away a lovely quilt. How exciting! There are more, but I am running out of time. 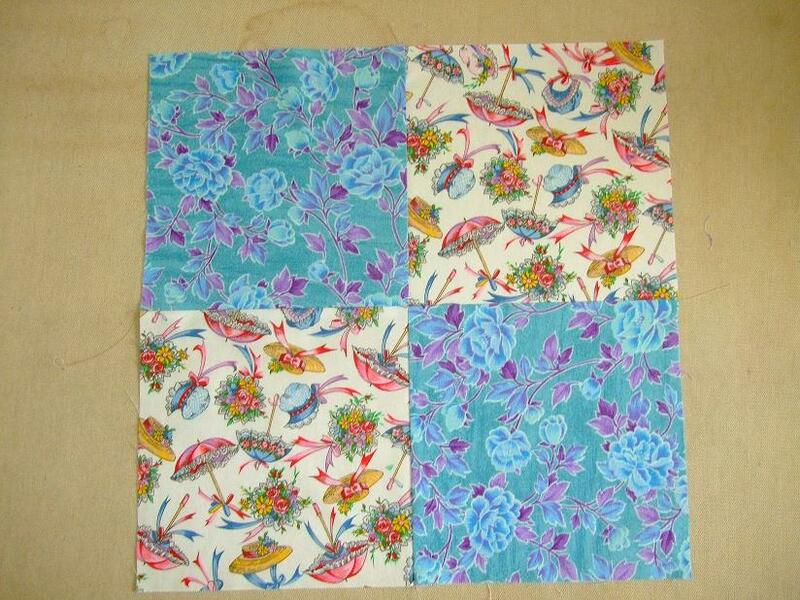 If you go look at Happy Cottage Quilter, you can get more details. Hope you have a Blessed Triduum & Easter. 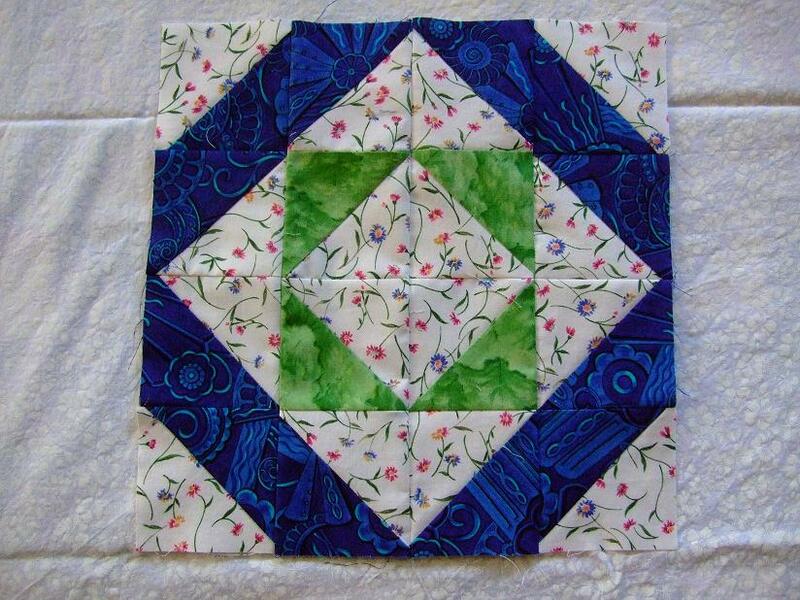 Being since it is the first day of the New Year, I am inspired once again to quilt. 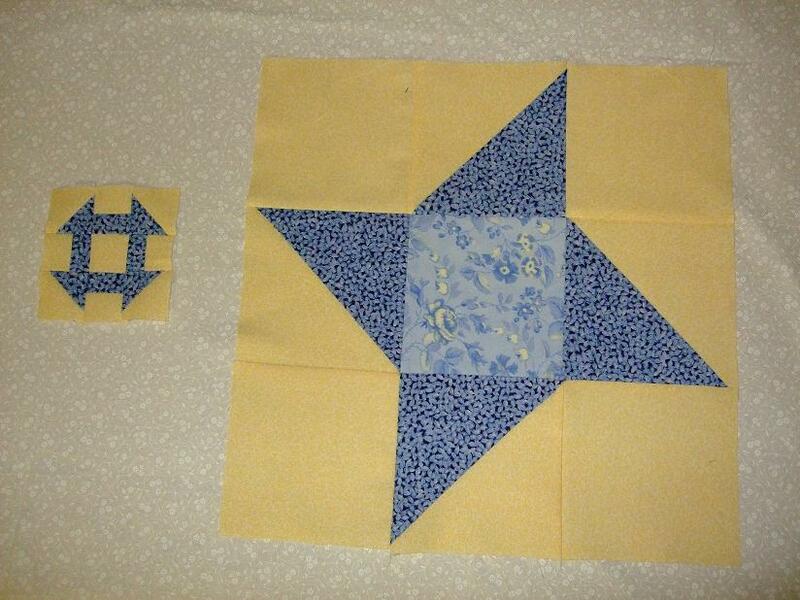 Last night was spent piecing together two blue and yellow basket blocks. 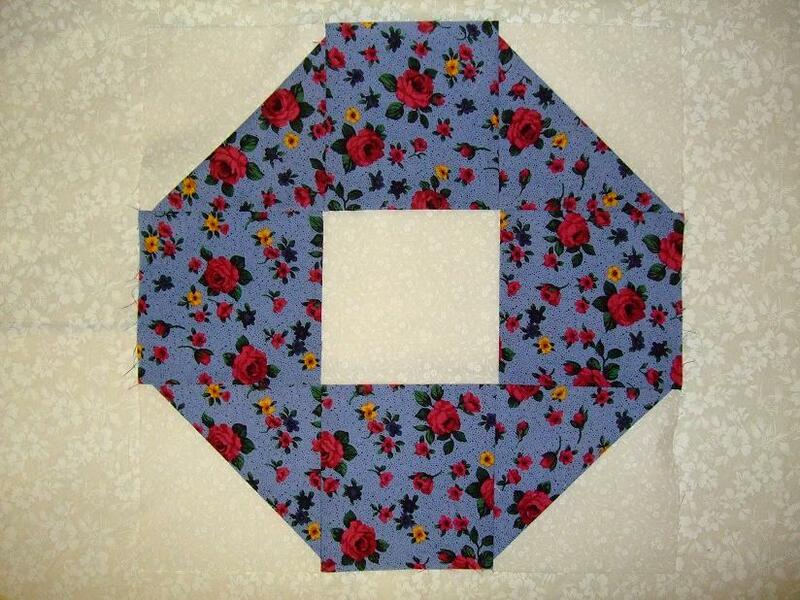 This morning one 6 inch farmers wife block is complete with another started. When the quilt inspiration hits me, (and even when it doesn’t), I like to look around some quilt blogs when I have the chance. Today I came across this giveaway and thought I should mention it here. Hurry! It is only open until 6:pm Pacific time this evening. 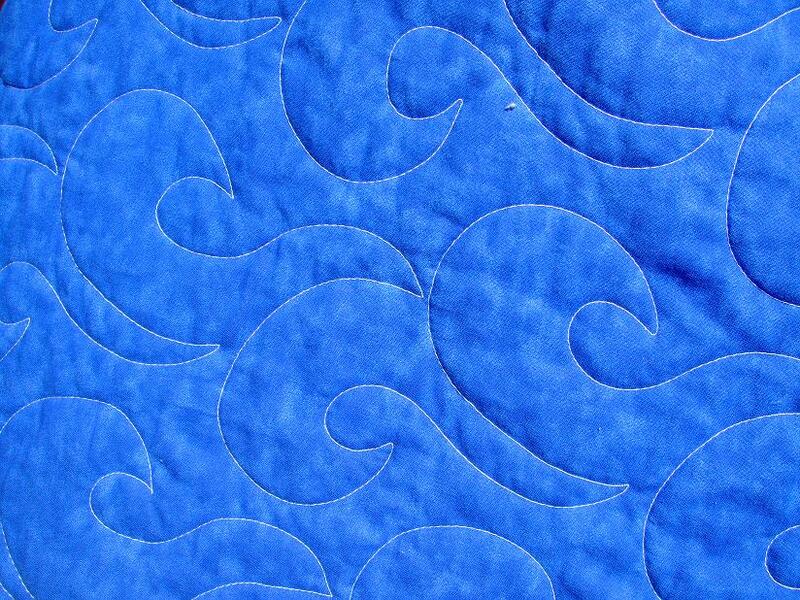 Here is the link to the post at Dawn’s Quilting Corner. 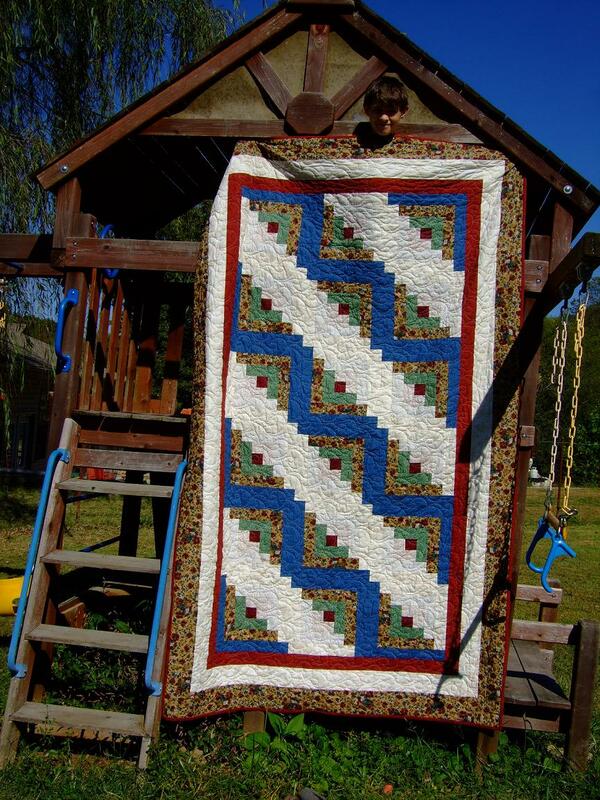 The other day while blog surfing, I came across an interesting post at “That Girl…That Quilt. 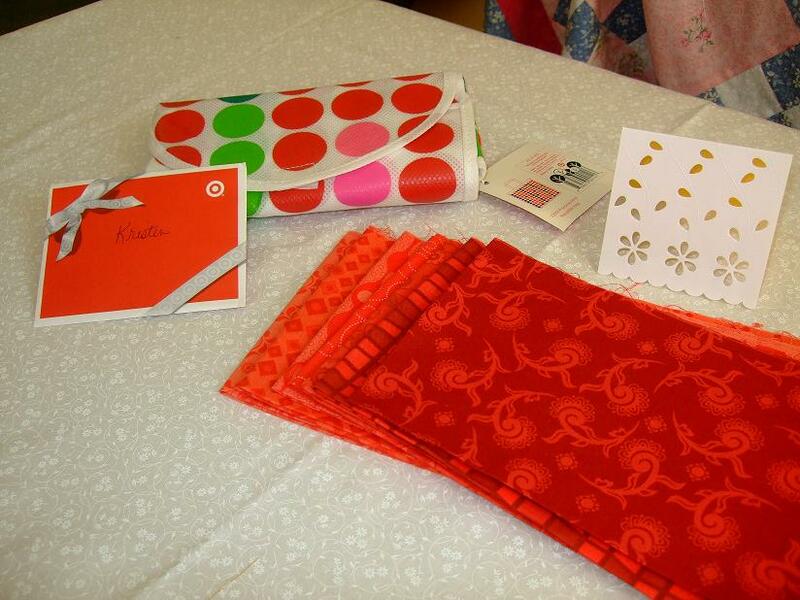 It was an Open Letter to quilt shops about their friendliness. This post hit home with me because I have been in shops like this. One shop in particular was in a different state and the owner was particularly nasty on several occasions. The first being the first time my husband and I walked in. She stayed on the phone almost the entire time we were there, and it sounded chatty, not business-like. I’m sorry to say that a little feeling of satisfaction went through me upon learning that shop had closed! The other thing that this post reminded me of is how blessed we are to have a somewhat local quilt shop that is just a nice, friendly place to shop. 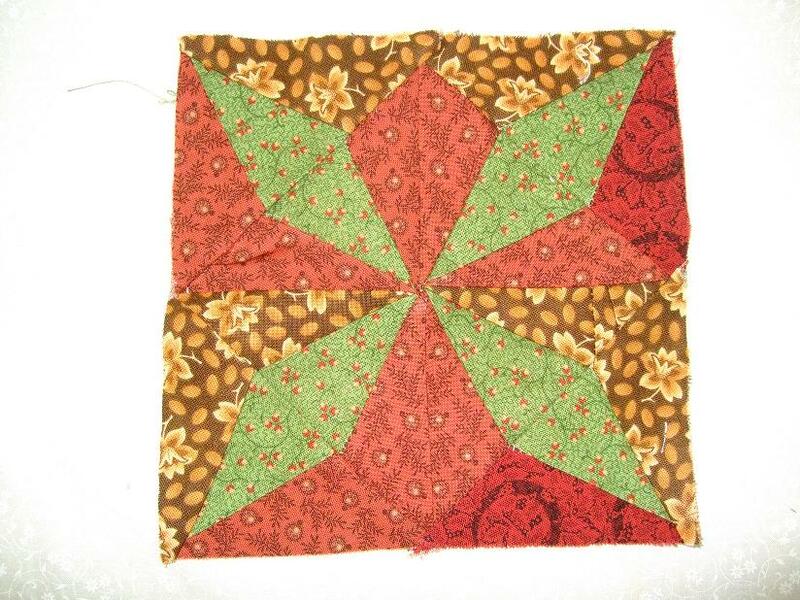 Hooked on Quilting in Fayetteville, TN is a wonderful Victorian house and the bottom floor is the shop. The owner and the staff are always so friendly and helpful! It is always a treat to go there, even for the children who can run around or sit on the front porch with the kitties. Another BIG plus is the prices there! 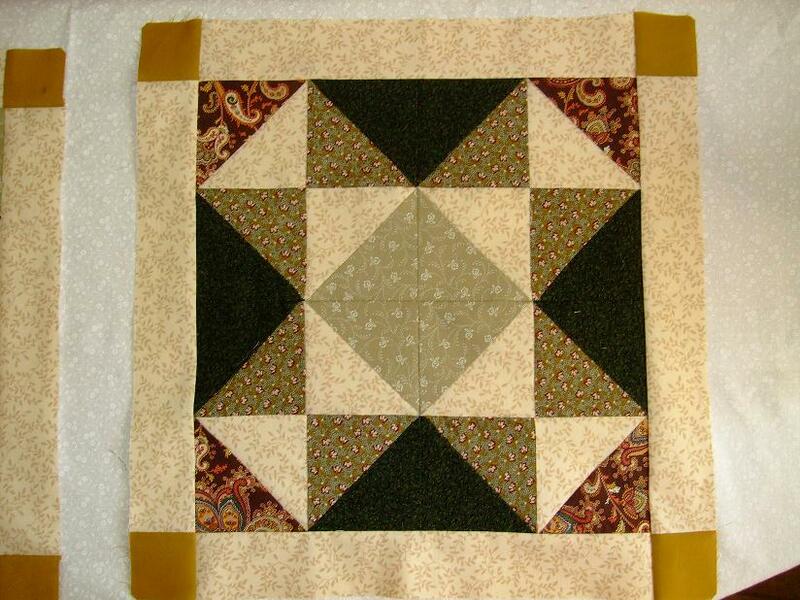 The block of the month kits are always as reasonably priced as possible, making it possible for a not-so-money-rich Mom of several to pursue quilting with real quality. Thank you, Cindy! 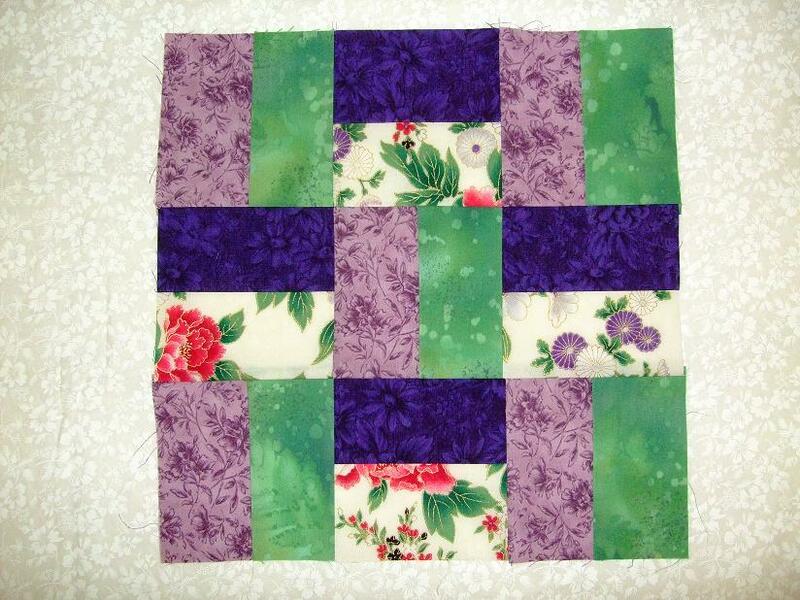 Another shop that needs to be mentioned here is Lavender Lime Quilt Shop in Chattanooga, TN. We had the pleasure of stopping there yesterday. The minute the girls and I walked in we were greeted cheerfully and the lady was just so nice. While we were looking around, a man came in looking for a machine that could sew leather. (We learned that a Bernina can sew through a very thick layer of leather very well with a regular needle!) While the first salesperson was busy, a man came out and asked if we needed anything and he was very nice. When we were ready to check out, I met the man’s wife (turns out they were the owners) and they were just delightful to talk to. This shop was featured in a magazine with the 10 best shops for 2009. The shop itself was just candy for the eyes. The girls and I thoroughly enjoyed every part. 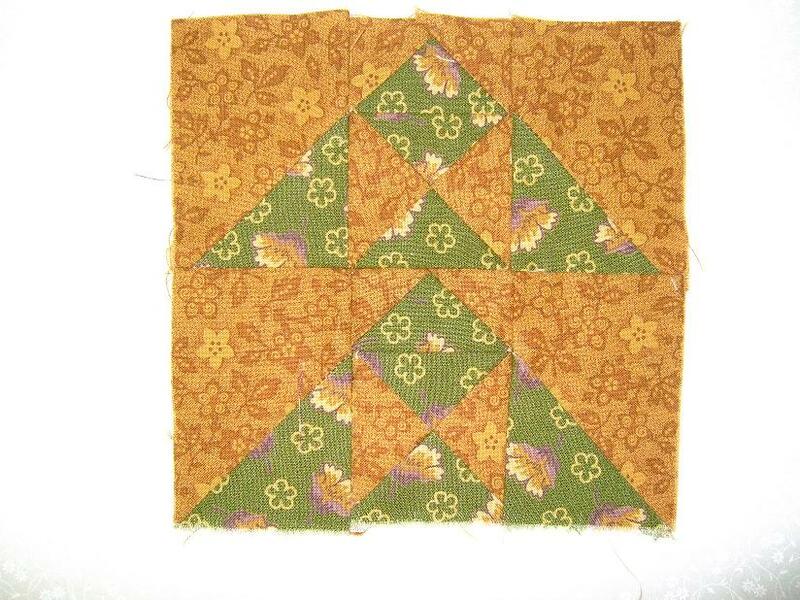 There was a generous collection of fabric, quilts on display, patterns, and a lot of samples. It was just delightful. 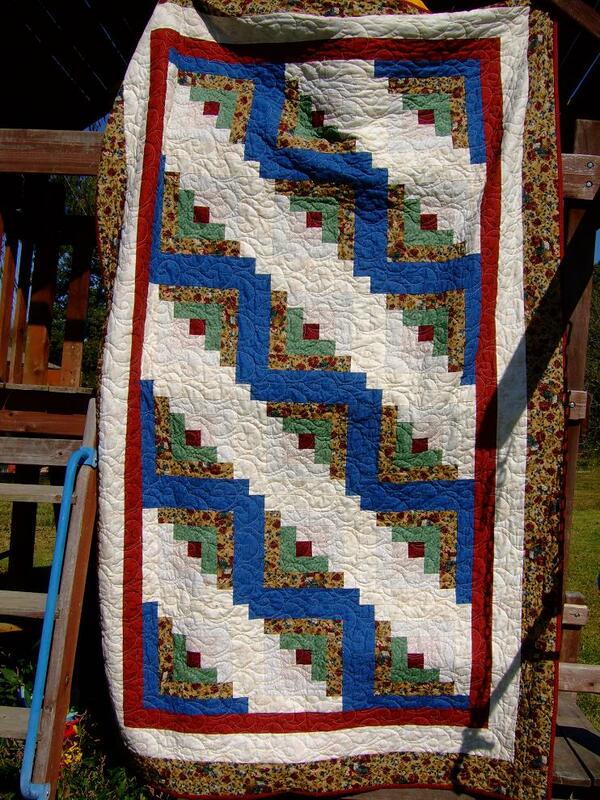 If you are even in Chattanooga or Fayetteville, stop by these wonderful quilt shops! It would be well worth the effort. Finally!!!! 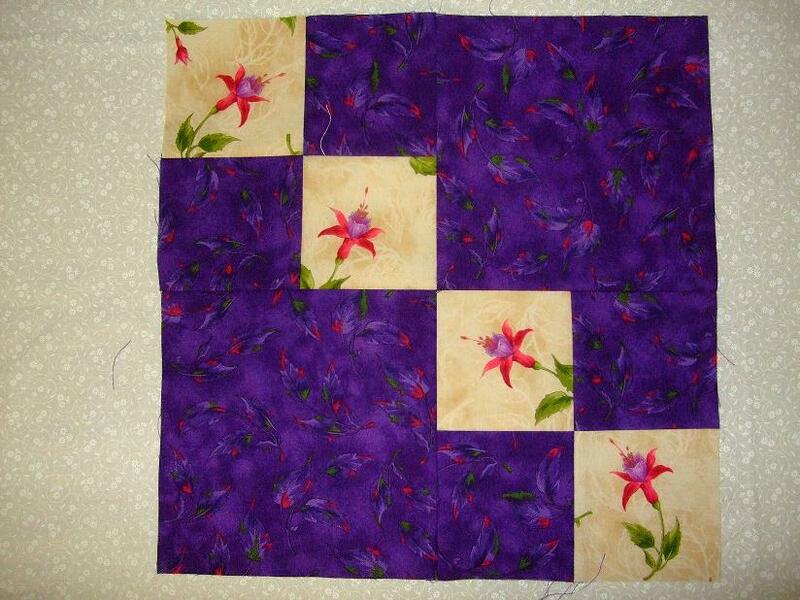 Here is Kevin’s quilt. It was finished right around the first of September. You may click on the images for a bigger picture. 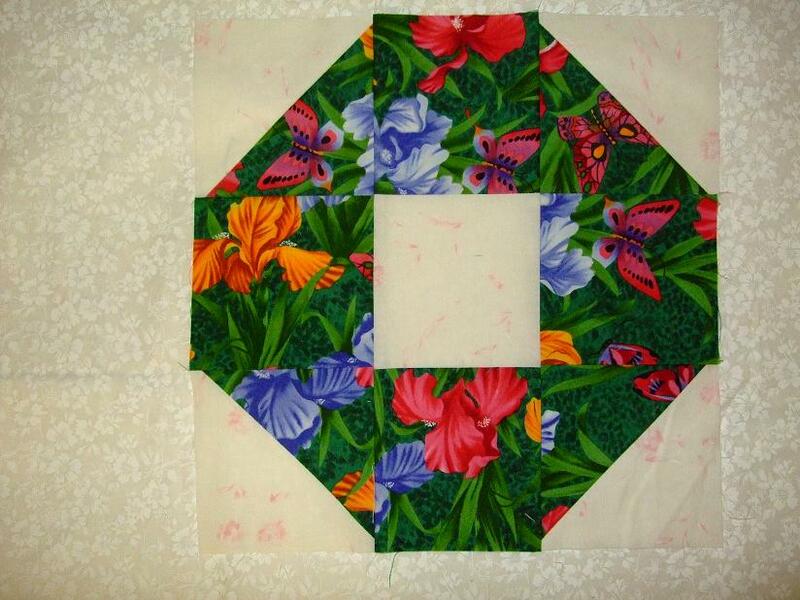 Here is a close up of the quilting on the back. 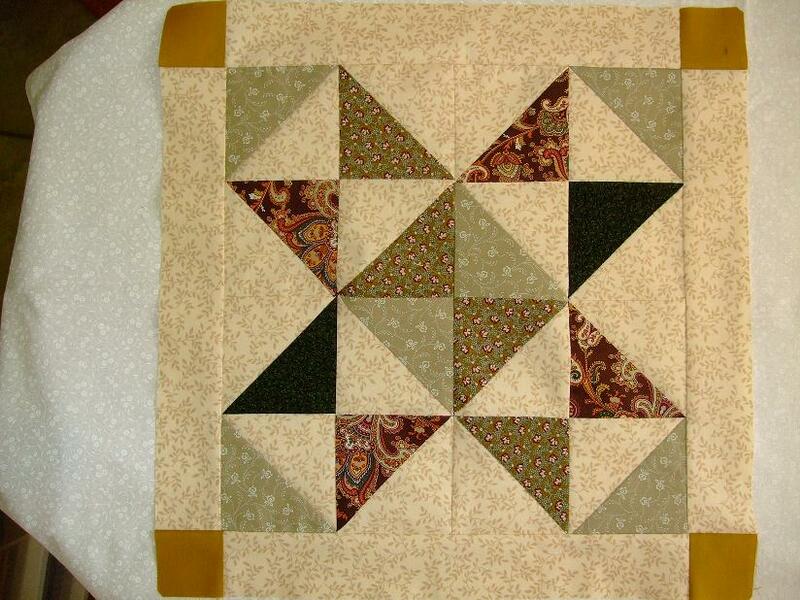 The quilting was done on a long arm machine by my friend Sharon Williams. 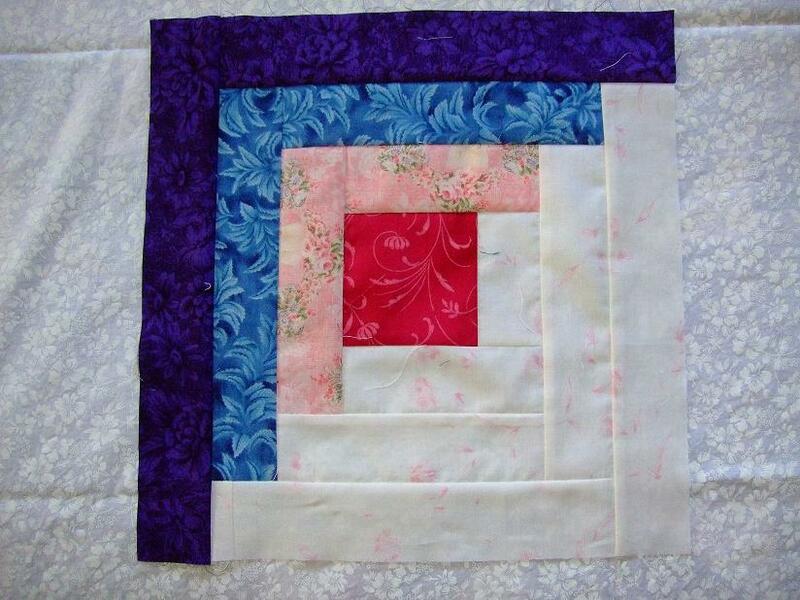 Once again, Amy has done a fabulous job of instructing people on quiltmaking. 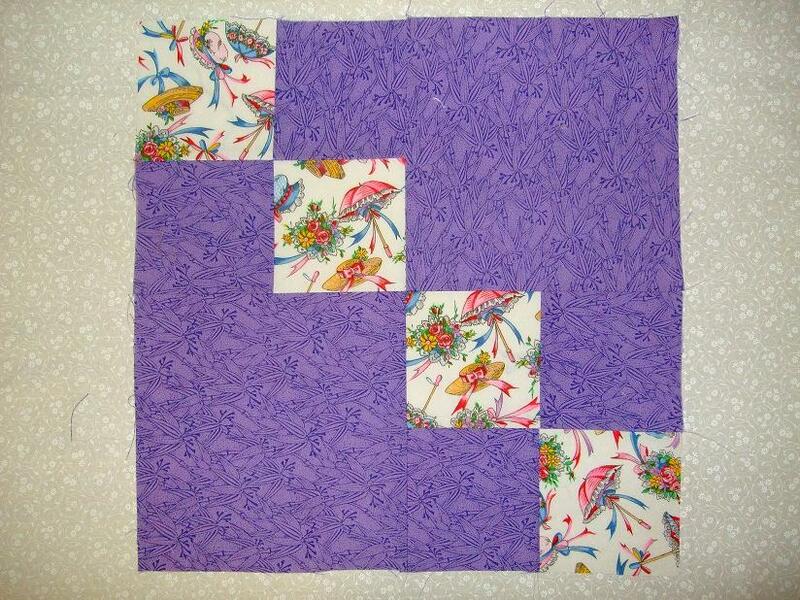 This week’s blocks are the log cabin and a mosaic variation that she calls “Mosaic Number 5.” They were fun to make. This morning I went and laid all the block out the best I could and tried to take a picture. I’ll post it here, even though it is not the greatest. I didn’t realize how much of a primary color block this was until it was already cut out. 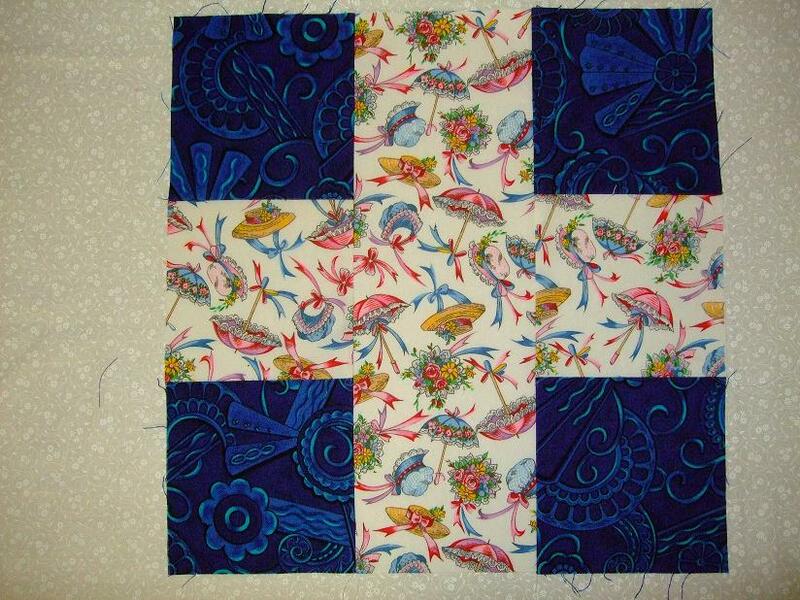 I figured I would go with it and if all else fails, it could be kept out of the quilt. 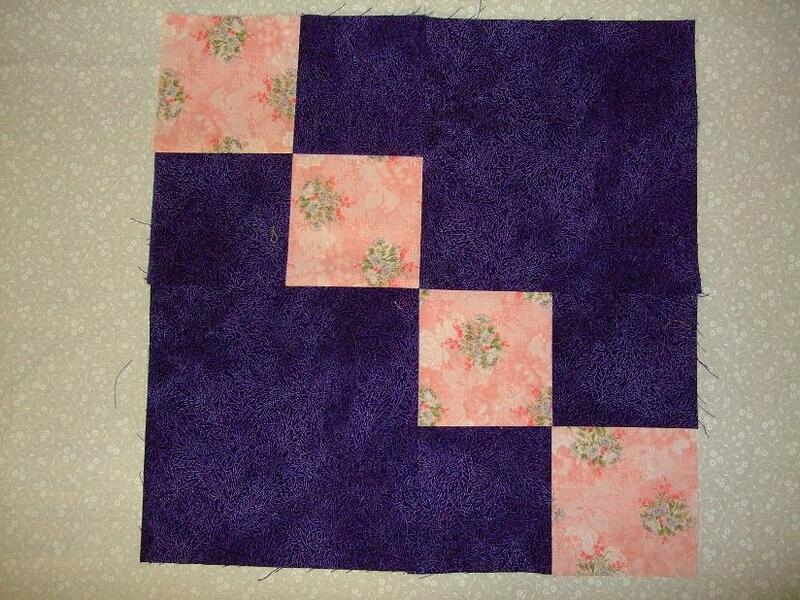 However, when all the blocks were laid out this morning, it really didn’t look bad, so it’s a keeper. 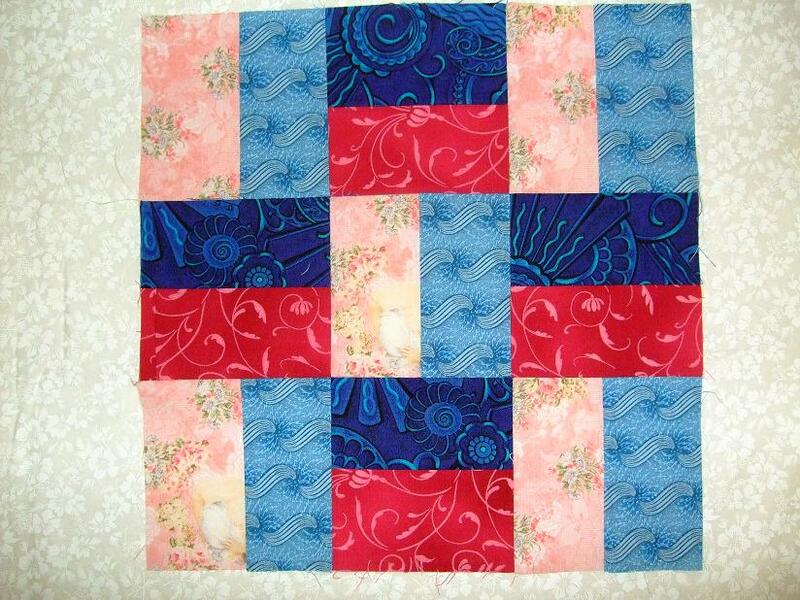 I love this log cabin block. 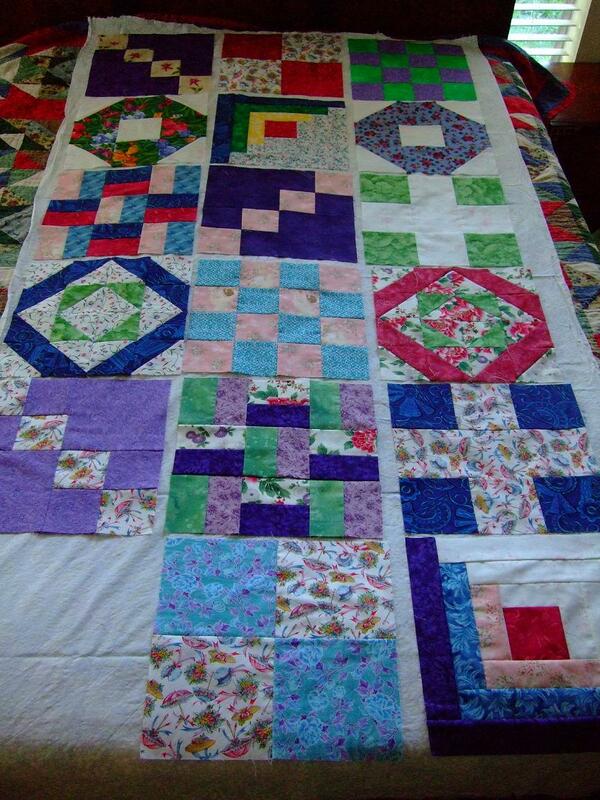 It makes me want to do an entire quilt like this, but unfortunately, that is the last of my pink on white, red center, almost all of my purple, and my only pieces of that blue from my scrap bin. 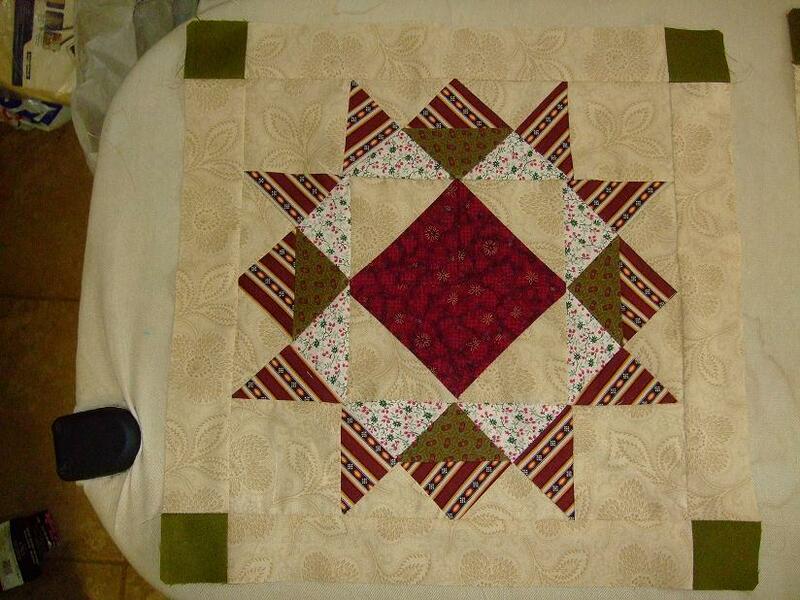 Another note is that I read once that red is the traditional center of a log cabin block. 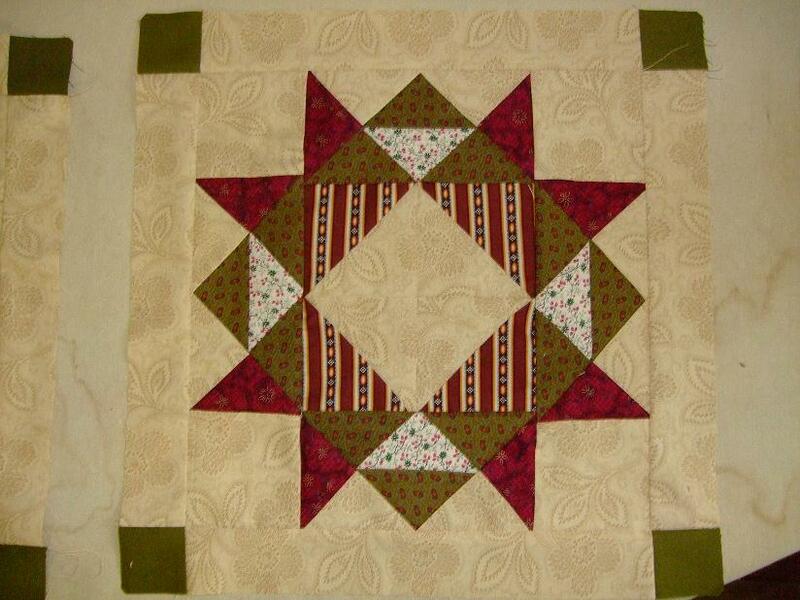 I have done a few log cabin quilts, and always try to have a red center. This mosaic block is a bit busy for me. Usually, I like things to pop out of the blocks. In order for that to happen, the green needs to be darker. None the less, I am pleased with it. 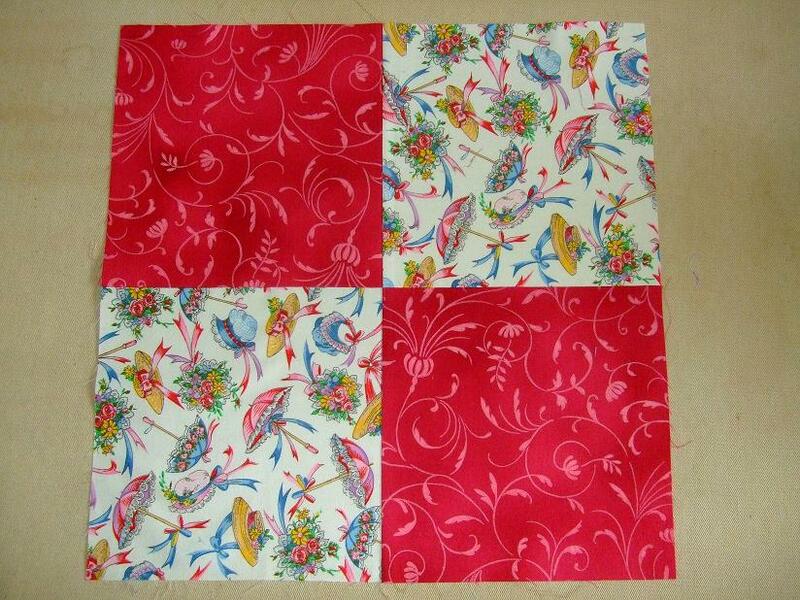 It meets my bright and cheery requirement for this quilt. 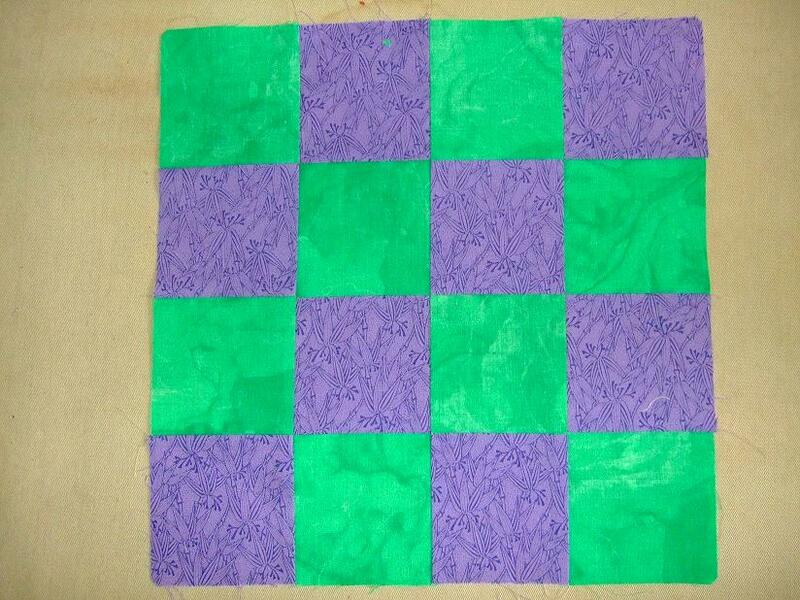 Amy had her mosaic block with blue and green, so I decided to go with her suggestion here. 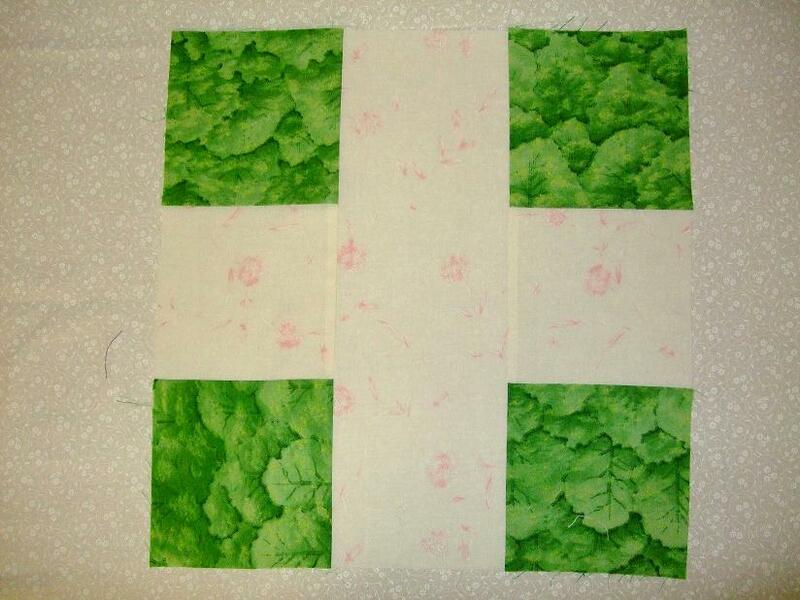 And, last, but not least, the picture of all the blocks so far. Be forewarned, the picture is not the greatest, but the best I could do at the time. 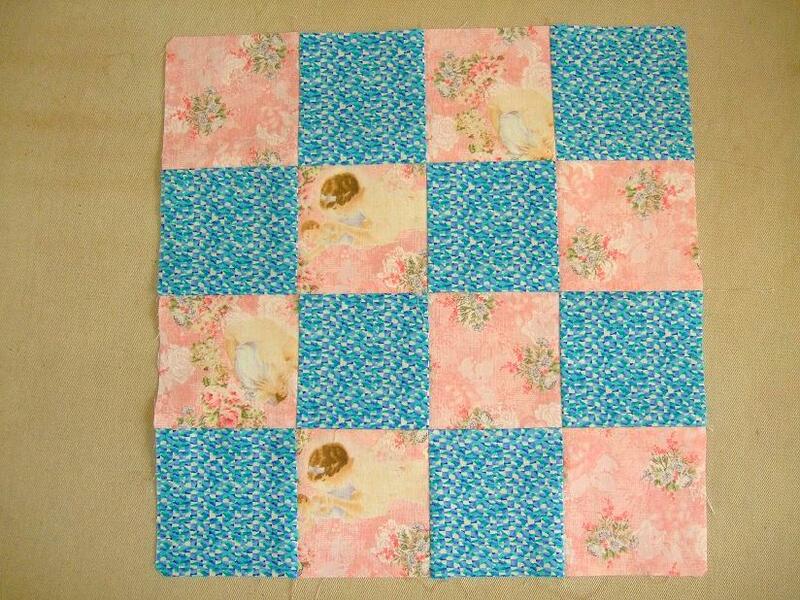 I want to take a minute to thank Amy for this quilt along. It is so much fun!